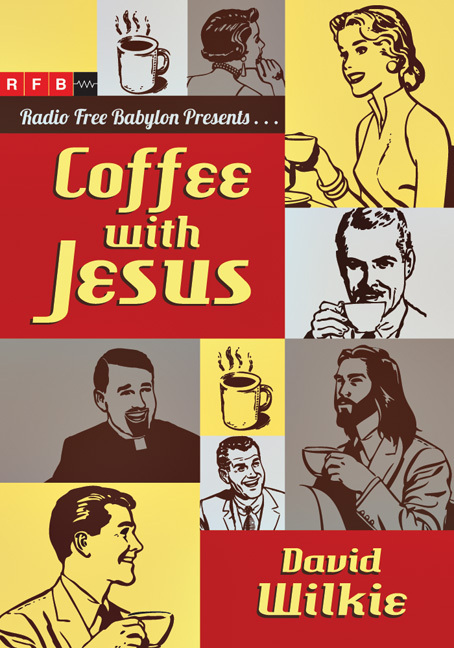 The wildly popular online comic Coffee with Jesus, described by Library Journal as offering "disarmingly funny reflections on human failings and faith," is back with a venti-sized second volume. Find yourself in your favorite characters, and laugh with Jesus at the absurdities of our world and the ways we walk in it. Follow your favorite characters as they honestly engage with Jesus about their successes and failures and wants and needs, effectively showing what conversation with God—or prayer—might look like. These poignant and pointed visual vignettes are rife with good theology and will have you laughing for days. "If David Wilkie didn't exist, God would have to invent him! Oh, wait—he did, right? You see what I did there, kids? Yes, I speak snark too! In fact, snark is the little-known Sixth Love Language, and it is my love language, so I'm unsnarkily grateful for Coffee with Jesus and any subsequent volumes thereof. But does a holy God really approve of us hearing about him through snarkiness? Hold the phone, Betty. . . he does!" "While not exactly accompanied with throngs of angels and clouds rolling back, Jesus has returned and you don't want to miss it! In A Second Shot of Coffee With Jesus, David Wilkie's coffeeshop Jesus is as frank and irreverent as ever. You'll laugh. You'll cringe. But you'll come away with a taste of the clearer insight you'd expect from an encounter with the one who is the 'light of the world.'" 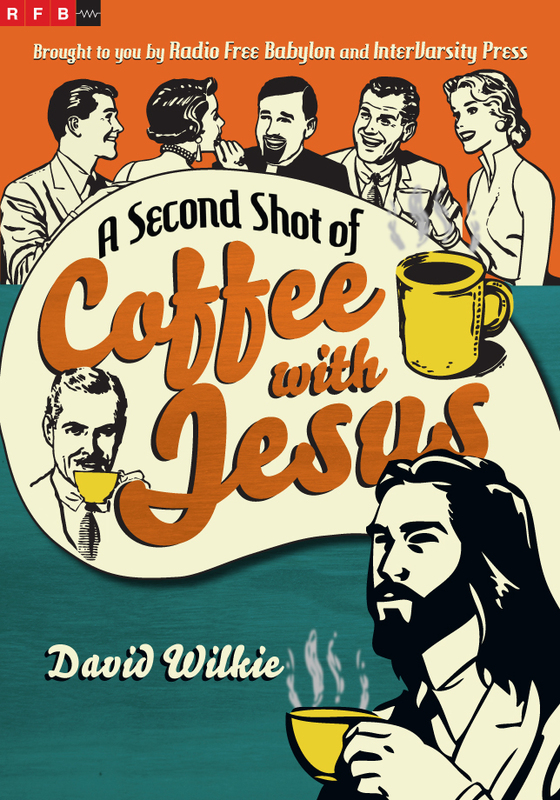 "Wilkie's theologically consistent and culturally insightful webcomic collection puts the son of God in a running series of coffee-klatch arguments, boasts, explanations, and self-discoveries while among a cast that includes a preacher named Joe, agnostic Kevin, troubled Anne, and the self-centered pair of Lisa and Carl, along with a Clark Gable-look-alike Satan. . . . This is a Jesus whom the reader need not believe is God in order to appreciate both his smarts and his pointed encouragement to do better in life." "Those who need more than one cup a day, rejoice: a second shot, er, volume of the Internet comic strip Coffee with Jesus is served up. Suit-wearing, coffee-drinking Jesus is back, holding a cuppa, fielding questions, offering counsel and correction, and regularly matching wits with a mustachioed Satan. The four-panel strip is all wit, since it relies on static clip art drawn from the annals of Sunday school lessons and 1950s advertisements. . . . The comics are a kind of 21st-century parable: short and provocative, gentle and non-judgey, examining common questions and (mis)conceptions about Jesus. They're extra-funny for readers who are churchgoers, who will get the digs at church-y Christianity. But they also function as Christian theology 101 in their simplicity, and Jesus always has the last, wry word." "Wilkie is gifted at causing me to think for days, even weeks with a few sort sentences. One can easily pick up A Second Shot of Coffee With Jesus and read through it rather quickly, and unlike more complicated works, reading through this quickly does not hinder comprehension and retention. . . . Regarding A Second Shot of Coffee With Jesus, I couldn't put the book down. It was incredible, as is the entire franchise." "Wilkie keeps dialogue sharp and evocative; believable, though in a cartoonish, satirical way. The incessant opinions and questions of Christ's coffee dates sound pretty much like tidbits an eavesdropper would hear from around a typical American kitchen table, coffee shop, talk show, pulpit. They're not full conversations, merely glimpses, one feels, of the hinge moments of conversations, the borderland place in the vacuum where something Goes In, where something Comes Out. . . . "The Christ of Wilkie's pages reassures, convicts, retorts, encourages, rebukes, sees us. Our opinions, sins, vices are put in short and brutal sentences, laid before the Son. He sips the black brew and accepts, corrects, loves. It is good." "These poignant and pointed visual vignettes are rife with good theology and will have you laughing for days." David Wilkie is the artist behind the popular online comic strip Coffee with Jesus. He and his wife, Katie, cofounded Radio Free Babylon, a media creation consortium that produces literature, music, software, web sites, and less tangible ideas about life. 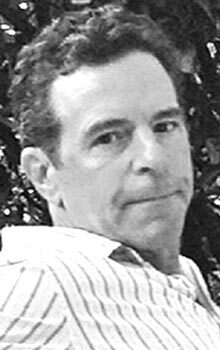 Dave has held numerous and varied positions in his career, including writer, creative director, producer, musician, on-air talent, clergyman, fax repairman, and artist, sometimes all at once. Check out Radio Free Babylon.